Hiligaynon or Ilonggo is an Austronesian language spoken in the Western Visayas region of the Philippines. It is a member of the Visayan language family and is concentrated in the provinces of Iloilo and Negros Occidental. It is also spoken in the other provinces of Panay island such as Capiz, Antique, Aklan and Guimaras, and in many parts of the Philippines’ southern island of Mindanao like Koronadal City, South Cotabato and Sultan Kudarat. There are approximately 7,000,000 people in and outside the Philippines who are native speakers of Hiligaynon, and an additional 4,000,000 who are capable of speaking it with a substantial degree of proficiency. The distinction between the the dialect called Ilonggo and that called Hiligaynon is not very clear. “Ilonggo” is the term name used in Negros Occidental, and in Iloilo. Even among Philippine language specialists and native laymen, there is a lot of disagreement about the correct term. Some consider Hiligaynon basically as a citified language spoken mainly in Iloilo City, a softer and gentler version of the different versions of Kinaray-a which are the real mother tongues of the people living in the rest of Panay island: in Capiz, Antique, and Aklan. Ilonggo is also the name of the people living in Panay and the culture associated with the people speaking Hiligaynon. Published by Mother Tongue Publishing Inc.
To order, contact the publisher. The price is PhP280 per copy / PhP800 for 3 copies. Please add cost of shipping and handling. 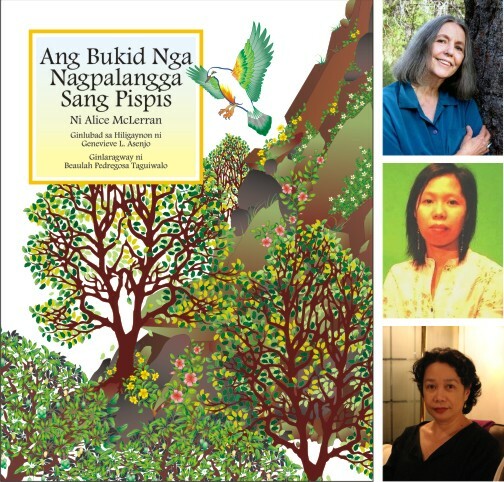 This book is also available in Filipino, Iloko, Kinaray-a and Cebuano. As a native English speaker, I am looking for a method to learn Hiligaynon (Ilonggo). Children books would appear to be a good method? Am I “barking up the wrong tree”? Advice to this Canadian looking for a way forward on learning Ilonggo would be appreciated.